We deliberately limit our salaries to the public wages of senior staff at European level published in the official gazettes. Without vested interests. Without bonuses. Without stock options. Transparent. We implement the “Altum100x1” programme: We donate 100% of Altum’s profits to a single objective: supporting evangelisation promoting Prayer, Mission and Formation of Vocations. Click on the locator and you can discover more details of the projects that we support and new updates. 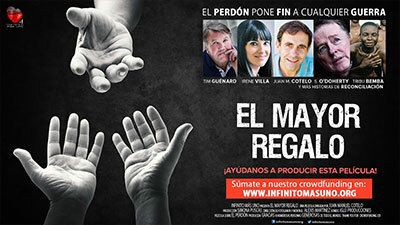 The Altum Team has collaborated in the financing of this film that speaks of Christian forgiveness. 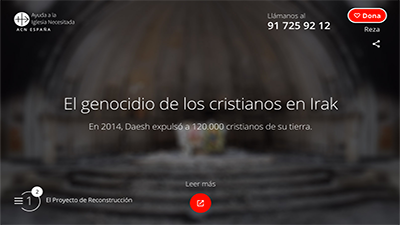 We finance projects that allow the Iraqi Christians who so desire to return to their homes in the towns of the Nineveh Plains, in decent and safe conditions. 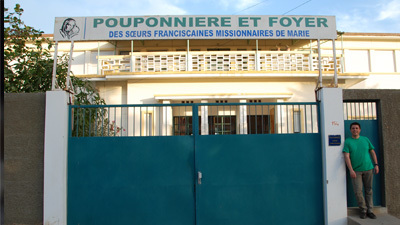 The Franciscan Missionary Sisters of Mary Home for Children in Dakar currently shelters 90 children, mainly abandoned babies or newborns whose mothers die giving birth to them. Altum100x1 Programme: How do we do it? We seek to finance projects whose aim is evangelisation. We do not simply give the money and forget about it; we finance specific projects, in specific sites for specific people. We are not experts in social assistance. Therefore, we collaborate with institutions of the Catholic Church and with local entities that are on the ground and capable of bearing witness to the needs to be addressed, confirming that each donation has been used in the most effective manner and has borne fruit. For us, transparency on the destination and effective use of the assets is the key to responsible accountability, which will be seen annually in our Altum 100×1 Report. Therefore, we ask (we demand) full traceability in the projects in which we co-invest, such that we know at all times how much money is invested, in what projects and their social/evangelical impact, from beginning to end.